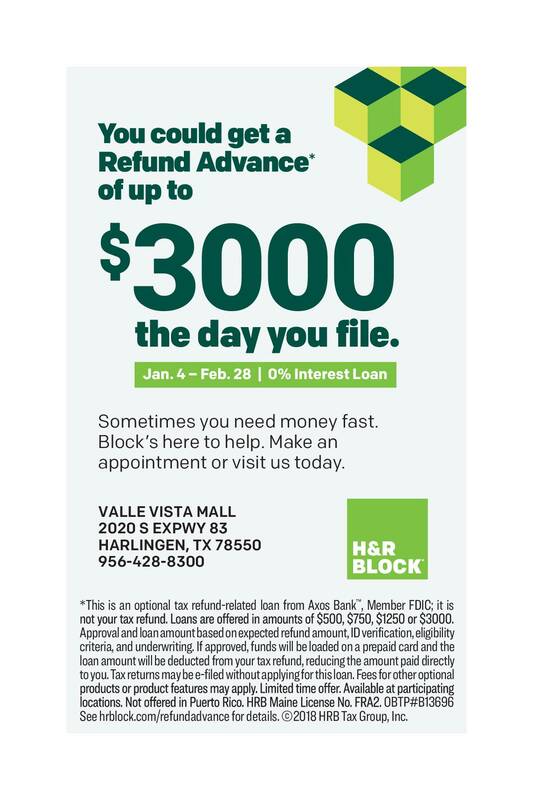 You could get a Refund Advance of up to $3000 the day you file. Sometimes you need money fast. Block's here to help. Make an appointment or visit us today. OBTP#B13696See hrblock.com/refundadvance for details. ©2018 HRB Tax Group, Inc.